Where did it come from? Who made it? Amos asks these questions all the time. My answers range from: I don’t know to A farm or A cow or, often, probably a factory. Sometimes the answer seems simple, I made it. As I’ve gradually sewn things for our home, I can look around and see many things I’ve stitched together for the place that I spend most of my time. It is gratifying to make things I love for the place and people that I love, but sometimes it seems like so much patchwork! 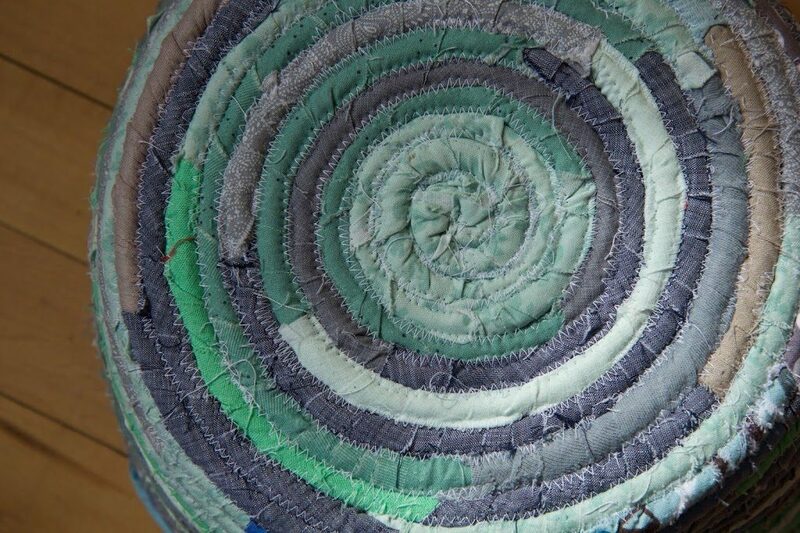 As someone who rarely measures and often cuts more than once, I have a huge basket of small scraps of fabric. Many of these are from trimming off an edge or a little extra fabric, others have found their way there when they are not big enough to iron and fold neatly on the shelf. 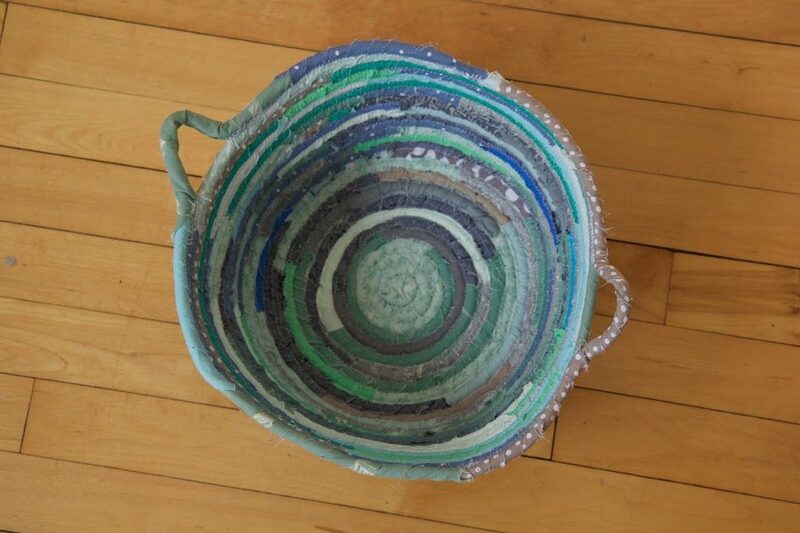 Cloth covered rope baskets are currently my favorite way to turn many of these scraps into something that is as useful as it is lovely to look at. 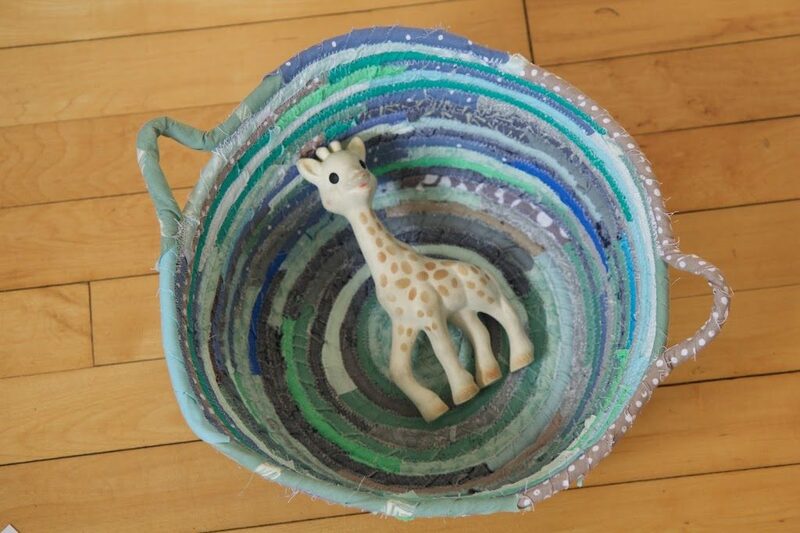 I have often wanted to be able to make more baskets and containers for storage and was delighted to discover a kind of basket that I could sew instead of learning the more complicated skill of basket weaving. 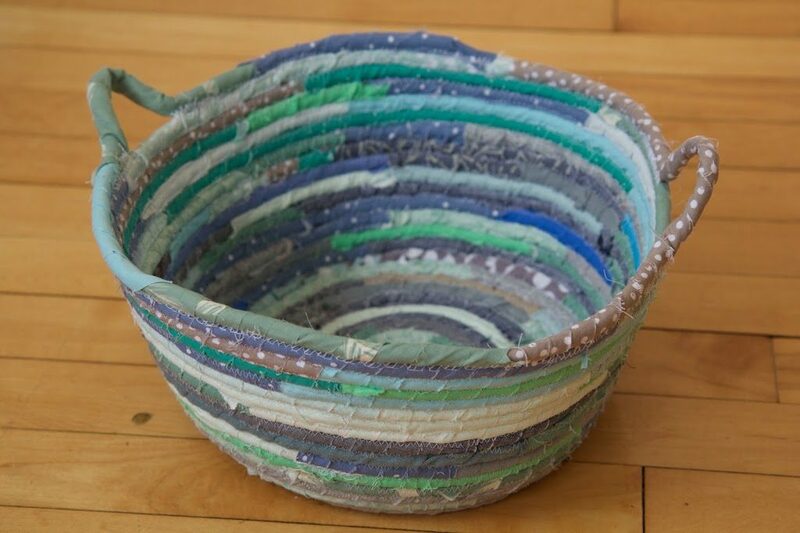 Making fabric covered rope baskets is a slower process with a few extra steps than just coiling and sewing the rope alone but it is a fun way to choose color combinations and use up scraps. I have a lot to learn about shaping the baskets and I still can’t be sure they will turn out exactly as I envision. This one was headed away from what I had hoped, but adding the little handles made all the difference and I am quite happy with the final result. This basket will be just the spot for keeping a few toys for the baby separate from all the other toys in baskets, drawers and strewn about.